Dr. van Vuuren is a pioneer in the field of metabolic enhancement of wine yeasts. The first two genetically engineered wine yeasts to receive Generally Regarded As Safe (GRAS) status from the US FDA were constructed in his laboratory. The malolactic wine yeast, ML01, degrades malic acid to lactic acid during the alcoholic fermentation, prevents spoilage of wines by other microorganisms and prevents or limits the formation of bioamines (allergens) in wines. S. cerevisiae ML01 is both the first genetically enhanced wine yeast to receive GRAS status from the US FDA and to be commercialized by the wine industry. Notifications have been submitted to regulatory bodies in other wine producing countries to obtain permission for commercialization of ML01. Novel urea-degrading wine yeasts that will significantly limit the formation of ethyl carbamate (urethane) in wines and brandy have recently been engineered in Dr. van Vuuren’s laboratory. This naturally occurring compound can be found in many fermented foods and beverages. Ethyl carbamate is considered potentially dangerous to humans, as it exhibits carcinogenic activity in a variety of laboratory animals. Ethyl carbamate is genotoxic in vitro and in vivo. In 2004, the NTP released a report based on an extensive study and found that ethyl carbamate increased the rates of cancer of the liver, lung, harderian gland, and of hemangiosarcomas in both female and male mice. Ethyl carbamate also increased the rates of cancer of the mammary gland and ovaries in female mice and the rates of skin cancer and cancer of the forestomach in male mice. 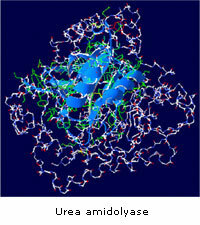 The urea-degrading red wine yeast developed in his laboratory has also received FDA GRAS status (link) and is currently being commercialized. Fundamental research in the van Vuuren laboratory focuses on the metabolic adaptation of wine yeast to stresses during wine fermentation. A systems biology approach (transcriptomics, proteomics and metabolomics) is used to study how yeast cells adapt to nutrient depletion, increasing ethanol concentration and fermentation stress in general. The function of a number of orphan genes expressed only during the late stages of alcoholic fermentation in S. cerevisiae, is being elucidated. Visit Dr. van Vuuren’s laboratory page to meet the research team. Terrell, E., M.A. Cliff and H.J. J. van Vuuren. 2015. Functional Characterization of Individual- and Mixed-Burgundian Saccharomyces cerevisiae Isolates for Fermentation of Pinot Noir. Molecules. Molecules 20:3 5112-5136. Walkey, C.J., D.D. Kitts, Y. Liu and H.J.J. van Vuuren. 2015. Bioengineering yeast to enhance folate levels in wine. Process Biochem. 50:205–210. Saberi, S., M. Cliff and H.J.J. van Vuuren. Comparison of Genetic and Enological Characteristics of New and Existing S. cerevisiae Strains for Chardonnay Wine Fermentations. Food Biotech. 28:195–215. Bessonov, K., C.J. Walkey, B.J. Shelp, H.J.J. van Vuuren, D. Chiu and G. van der Merwe. 2013. Functional analyses of NSF1 in wine yeast using interconnected correlation clustering and molecular analyses. PLoS One. Oct 9;8(10):e77192. doi: 10.1371/journal.pone.0077192. Luo, Z., C.J. Walkey, L.L. Madilao, V. Measday and H.J.J. van Vuuren. 2013. Functional improvement of Saccharomyces cerevisiae to reduce volatile acidity in wine. FEMS Yeast 13(5):485-94. Walkey, C.J., Z. Luo, L.L. Madilao and H.J.J. van Vuuren. 2012. The Fermentation Stress Response Protein Aaf1p/Yml081Wp Regulates Acetate Production in Saccharomyces cerevisiae. PLoS ONE 7(12):e51551. Saberi, S., M.A. Cliff and H.J.J. van Vuuren. 2012. Impact of mixed S. cerevisiae strains on the production of volatiles and estimated sensory profiles of Chardonnay wines. Food Res. Internat. 48:725-735. Walkey, C.J., Z. Luo, C.H. Borchers, V. Measday and H.J.J. van Vuuren. 2011. The Saccharomyces cerevisiae fermentation stress response protein Igd1p/Yfr017p regulates glycogen levels by inhibiting glycogen debranching enzyme. FEMS Yeast Res. 11:499-508. Deed, N.K., H.J.J. van Vuuren and R.C. Gardner. 2011. Effects of nitrogen catabolite repression and di-ammonium phosphate addition during wine fermentation by a commercial strain of S. cerevisiae. Appl. Microbiol. Biotechnol. 89:1537-1549. Dahabieh, M., J. I. Husnik and H.J.J. van Vuuren. 2010. Functional enhancement of Sake yeast strains to minimize the production of ethyl carbamate in Sake wine. J. Appl. Microbiol. 109:963-973. Adams, C. and H.J.J. van Vuuren. 2010. The timing of diammonium phosphate addition to fermenting grape must affects the production of ethyl carbamate in wine. Am. J. Enol. Vitic. 61:125-129. Dahabieh, M. and H.J.J. van Vuuren. 2009. Functional expression of the DUR3 gene in a wine yeast strain to minimize ethyl carbamate in Chardonnay wine. Am. J. Enol. Vitic. 60:537-541. Luo, Z. and H. J. J. van Vuuren. 2009. Functional analyses of PAU genes in Saccharomyces cerevisiae. Microbiology 155:4036-4049. Erasmus D. J. and H.J.J. van Vuuren. 2009. Genetic Basis for Osmosensitivity and Genetic Instability of the Wine Yeast Saccharomyces cerevisiae VIN7. Am. J. Enol. Vitic. 60:145-154. Lou, Z. and H.J.J. van Vuuren. 2008. Stress-induced production, processing and stability of a seripauperin protein, Pau5p, in Saccharomyces cerevisiae. FEMS Yeast Res. 8:374-385. Van Vuuren, H.J.J., J.I. Husnik and C. Adams. 2008. Metabolically enhanced yeasts that conduct the malolactic fermentation and limit ethyl carbamate in wine. Proceedings of the Australian Wine Industry Technical Conference. 2008:171-177. Marks, V.D., S.J. Ho Sui, D. Erasmus, G.K. van der Merwe, J. Brumm, W.W. Wasserman, J. Bryan and H. J. J. van Vuuren. 2008. Dynamics of the yeast transcriptome during wine fermentation reveals the Fermentation Stress Response. FEMS Yeast Res. 8:35-52. Husnik, J.I., P.J. Delaquis, M.A. Cliff and H. J.J. van Vuuren. 2007. Functional Analyses of the Malolactic Wine Yeast ML01. Am. J. Enol. Vitic. 58:42-52. Volschenk, H., H.J.J. van Vuuren & M. Viljoen-Bloom. 2006. Malic Acid in Wine: Origin, Function and Metabolism during Vinification. S. Afr. J. Enol. Vitic. 27(2) 123-136. Coulon, J., J. I. Husnik, D. L. Inglis, G. K. van der Merwe, A. Lonvaud, D. J. Erasmus and H. J.J. van Vuuren. 2006. Metabolic Engineering of Saccharomyces cerevisiae to minimize the production of ethyl carbamate in wine. Am. J. Enol. Vitic. 57:113-24. Husnik, J.I., H. Volschenk, J. Bauer, D. Colavizza, Z. Luo, Z. and H. J. J. van Vuuren, 2006. Metabolic engineering of malolactic wine yeast. Metabolic Eng. 8:315-323. Greatrix, B. W. and H.J.J. van Vuuren. 2006. Expression of the HXT17, HXT13 and HXT15 genes in Saccharomyces cerevisiae; stabilization of the HXT1, GPD1 and HTB1 gene transcripts by sugar-induced osmotic stress. Curr. Genetics. 49:205-217. Van Staden, J., H. Volschenk, H.J.J. van Vuuren and M. Viljoen-Bloom. 2005. The Effect of Skin Contact on Malic Acid Degradation by Recombinant Malo-ethanolic Wine Yeast Strains. S. Afr. J. Enol. Vitic. 26:16-20. Volschenk, H., M. Viljoen-Bloom, J. van Staden, J. Husnik and H.J.J. van Vuuren. 2004. Genetic engineering of an industrial strain of Saccharomyces cerevisiae for L-malic acid degradation via an efficient malo-ethanolic pathway. S. Afr. J. Enol. Vitic. 25:63-73. Erasmus, D.J., M. Cliff and H.J.J. van Vuuren. 2004. Impact of yeast strain on the production of acetic acid, glycerol and the sensory attributes of icewine. Am. J. Enol. Vitic. 55:371-378. Subden, R.E., J.I. Husnik, R. van Twest, G.K. van der Merwe and H.J.J. van Vuuren. 2003. Autochthonous microbial population in a Niagara Peninsula icewine must. Food Res. Int. 36:747-751. Volshenk, H., H.J.J. van Vuuren and M. Viljoen-Bloom. 2003. Malo-ethanolic fermentation in Saccharomyces and Schizosaccharomyces. Curr. Genetics. 43: 379-391. Erasmus, D.J., G.K. van der Merwe and H.J.J. van Vuuren. 2003. Genome-wide expression analyses: Metabolic adaptation of Saccharomyces cerevisiae to high sugar stress. FEMS Yeast Res. 3:375-399. Marks, V., G.K. van der Merwe and H.J.J. van Vuuren. 2003. Transcriptional profiling of wine yeast in fermenting grape must: Regulatory effect of diammonium phosphate. FEMS Yeast Res. 3:269-287.
van der Merwe G.K., T.G. Cooper and H.J.J. van Vuuren. 2001. Ammonia regulates VID30 expression and Vid30p function shifts nitrogen metabolism towards glutamate formation especially when Saccharomyces cerevisiae is grown in low concentrations of ammonia. J. Biol. Chem. 276:28659-28666.
van der Merwe G.K., H.J.J. van Vuuren and T.G. Cooper. 2001. Cis-acting sites contributing to expression of divergently transcribed DAL1 and DAL4 genes in S. cerevisiae: a word of caution when correlating cis-acting sequences with genome-wide expression analyses. Curr. Genetics. 39:156-165. Volschenk, H., M. Viljoen-Bloom, R.E. Subden and H.J.J. van Vuuren. 2001. Malo-ethanolic fermentation in grape must by recombinant strains of Saccharomyces cerevisiae. Yeast. 18:963-970. Saayman, M., H. J. J. van Vuuren, W. H. van Zyl and M..Viljoen-Bloom. 2000. Differential uptake of fumarate by Candida utilis and Schizosaccharomyces pombe. Appl. Microbiol. Biotechnol. 54:792-798. Viljoen M., H. Volschenk, R.A. Young and H.J.J. van Vuuren. 1999. Transcriptional regulation of the Schizosaccharomyces pombe malic enzyme gene, mae2. J. Biol. Chem. 272:9969-9975. Subden, R.E., A. Krizus, C. Osothsilp, M. Viljoen and H.J.J. van Vuuren. 1998. Mutational analysis of malate pathways in Schizosaccharomyces pombe. Food Res. Int. 31:37-42. Viljoen, M., M. van der Merwe, R.E. Subden and H.J.J. van Vuuren 1998. Mutation of Gly-444 Inactivates the S. pombe Malic Enzyme. FEMS Lett. 167:157-162. Volschenk, H., M. Viljoen, J. Grobler, F. Bauer, R.E. Subden, A. Lonvaud, M. Denayrolles and H.J.J. van Vuuren. 1997. Malolactic fermentation in grape musts by a genetically engineered strain of Saccharomyces cerevisiae. Am. J. Enol. Vitic. 48:193-197. Volschenk, H., M. Viljoen, J. Grobler, B. Petzold, F. Bauer, R.E. Subden, R.A. Young, A. Lonvaud, M. Denayrolles and H.J.J. van Vuuren. 1997. Engineering pathways for malate degradation in Saccharomyces cerevisiae. Nature Biotechnol. 15:253-257. Liao, S.M., J. Zhang, D.A. Jeffery, A.J. Koleske, C.M. Thompson, M. Viljoen, H.J.J. van Vuuren and R.A. Young. 1995. A kinase-cyclin pair in the RNA polymerase II holoenzyme. Nature 374:193-196. Grobler, J., F. Bauer, R.E. Subden and H.J.J. van Vuuren. 1995. The mae1 gene of Schizosaccharomyces pombe encodes a permease for malate and other C4 dicarboxylic acids. Yeast 11:1485-1491. Sutherland, M.H., H.J.J. van Vuuren and M.M. Howe. 1994. Cloning, sequence and in vitro transcription/translation analysis of a 3.2-kb EcoRI-HindIII fragment of Leuconostoc oenos bacteriophage L10. Gene. 148:125-129. Viljoen, M., R.E. Subden, A. Krizus & H.J.J. van Vuuren. 1994. 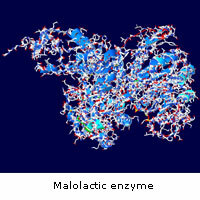 Molecular analysis of the malic enzyme gene (mae2) of Schizosaccharomyces pombe. Yeast 10:613-624. The Blythe and Violet Eagles Chair in Food Biotechnology was awarded to Dr. Hennie van Vuuren whose previous position was the Senior NSERC/Industrial Research Chair in the Cool Climate Oenology and Viticulture Institute at Brock University. Before emigrating to Canada, he was Professor and Chair of the Department of Microbiology and Director of the Institute for Biotechnology at the University of Stellenbosch in South Africa. 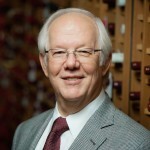 Dr. van Vuuren is a wine biotechnologist and founding Director of the WRC at UBC.